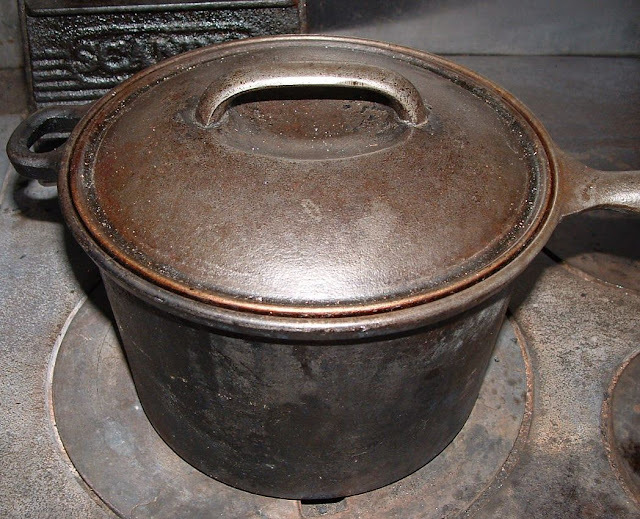 A Woodsrunner's Diary: Making Tallow & Its Uses. 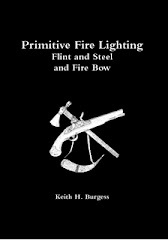 1) Greasing a gun lock & wiping the gun 2) greasing the bore of a gun 3) waterprofing the pan on a flintlock in wet weather 4) Greasing the leather gun lock cover 5) Greasing Moccasins & other leather items to make water resistant 6) Making tallow candles 7) For food 8) For grease lamps 9) For sealing the tops of bottles & other food containers 10) For dry skin 11) For face paint 12) For making fire with damp kindling 13) For greasing a bow stave 14) Greasing patch material for a muzzle-loading rifle 15) making soap. 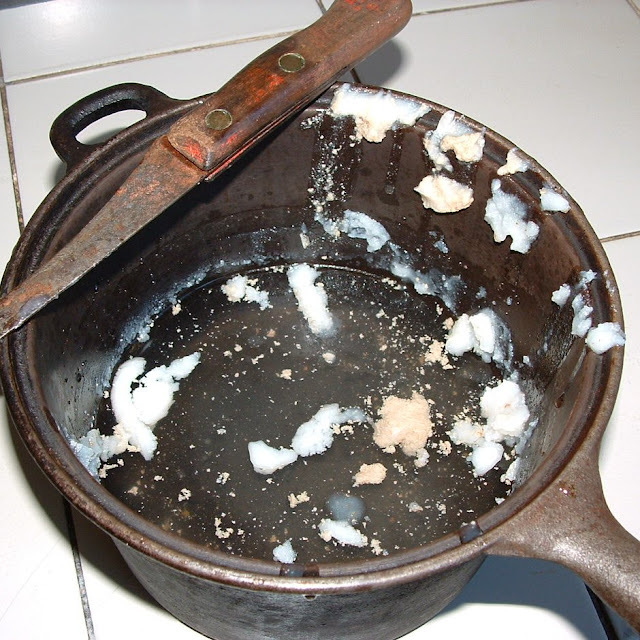 Fat was/is collected from cooking meat, fat can also be removed from the animal for rendering. 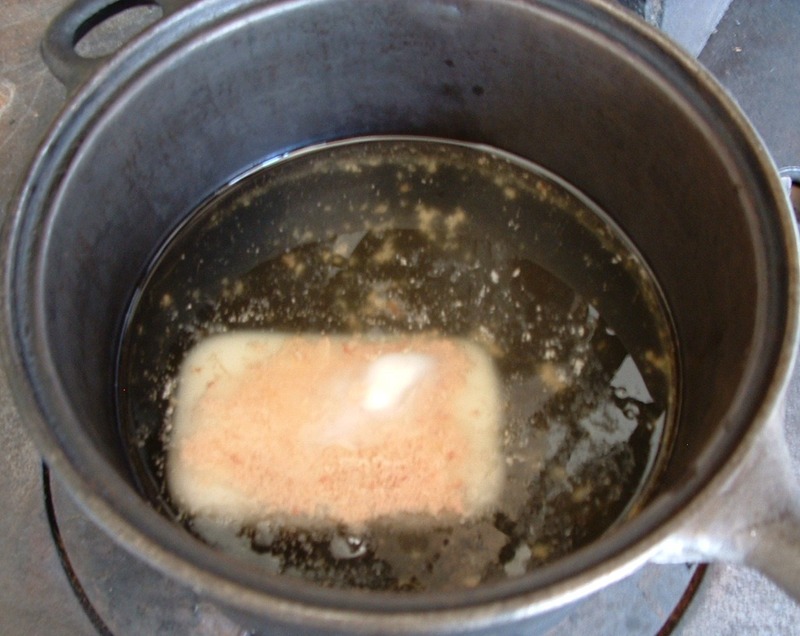 Rendering fat is a simple methon of heating over a fire until the fat is melted and then pouring into another container for further cleaning to produce tallow. 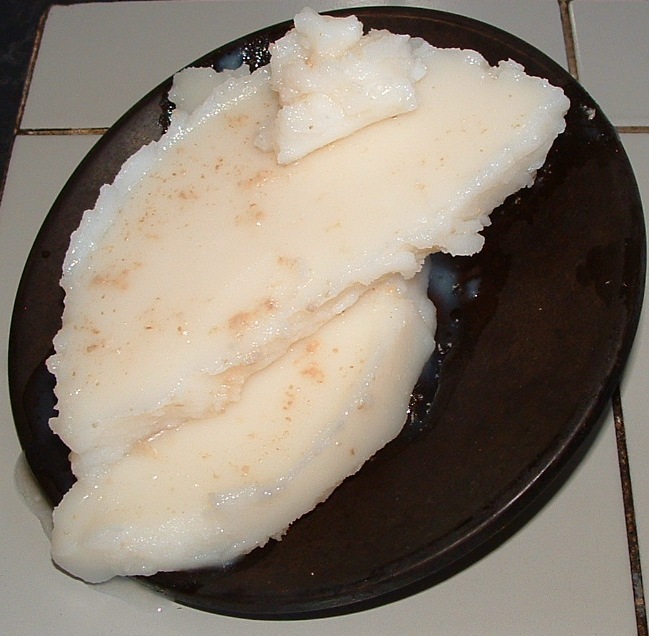 To make tallow you add rendered fat to water in a kettle and boil. 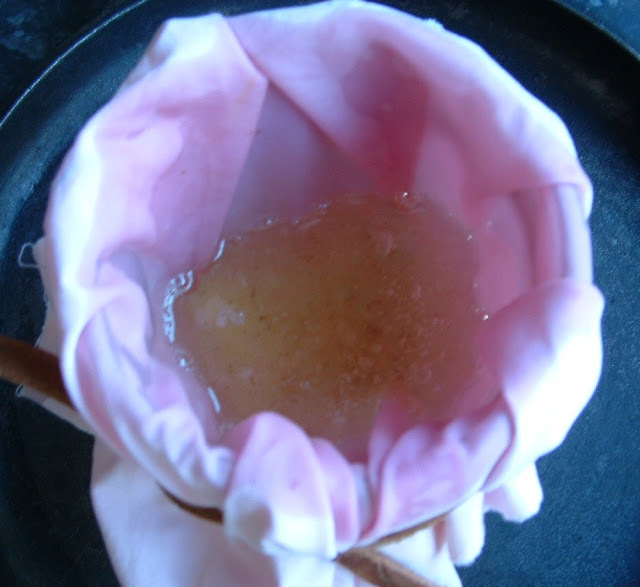 Then you place the melted fat and water aside to cool. 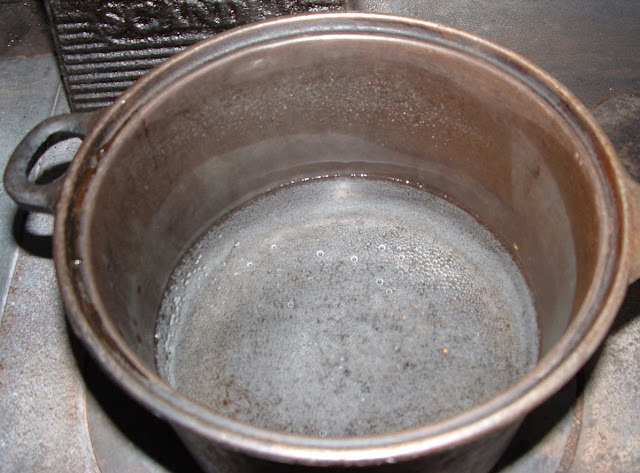 When the fat has set hard, you can remove it from the kettle, scrape off any meat from the bottom, and place once again into a kettle of clean water. Repeat the process. This second boiling should produce clean tallow. Place this tallow in a kettle and boil slowly for a while, then pour through a cloth into a container for use or storage. Heating the water on the stove. putting the top on the kettle will make it boil faster and save wood. 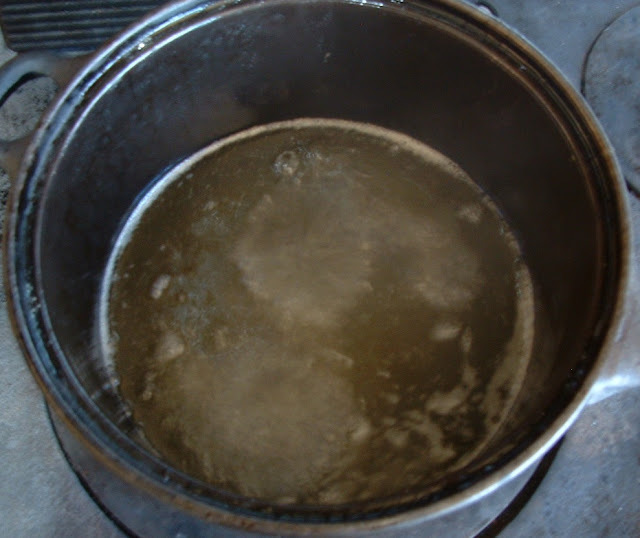 The water is boiling, so we can add the rendered fat. The rendered fat in the hot water. The fat has meted in the water, now we must set it aside to cool and set. 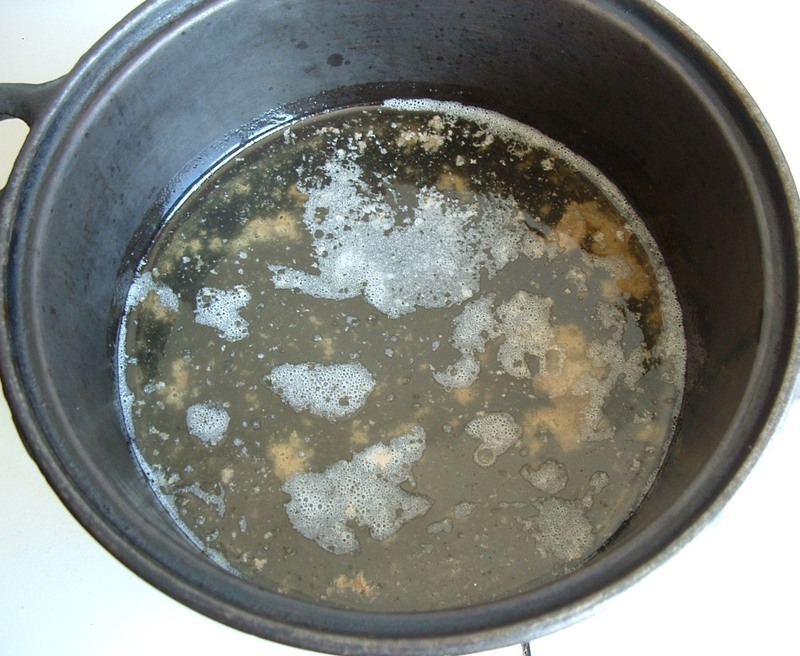 Here you can see the meat bits in the water under the fat after boiling. 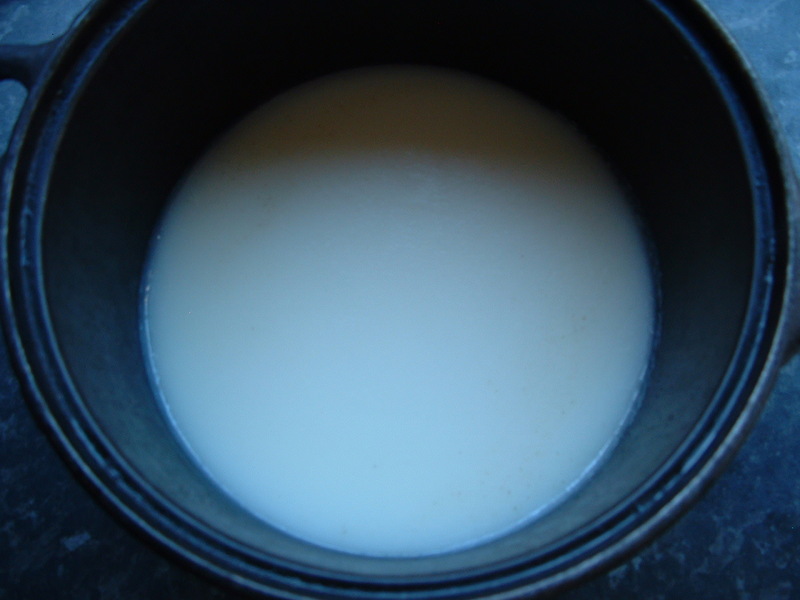 Here the fat has cooled and set, now we must remove the fat from the surface of the water, or, drain the water first and then remove the fat. 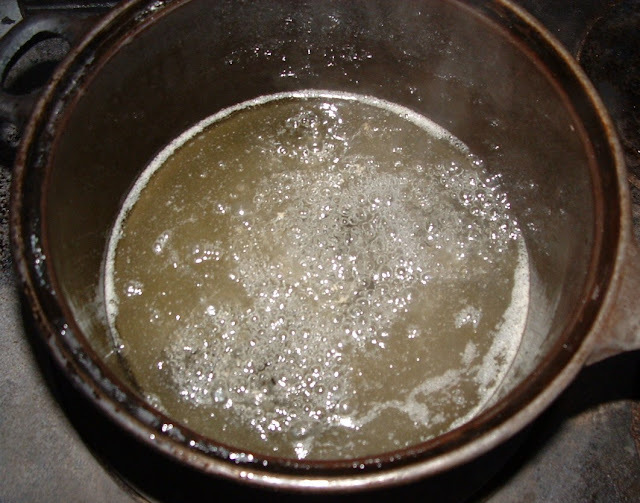 The fat will need scraping before repeating this process of boiling in clean water. The fat is taken out of the kettle and scraped clean as much as possible. This is the rubbish that needs tipping away. Then we add more clean water and repeat the process. 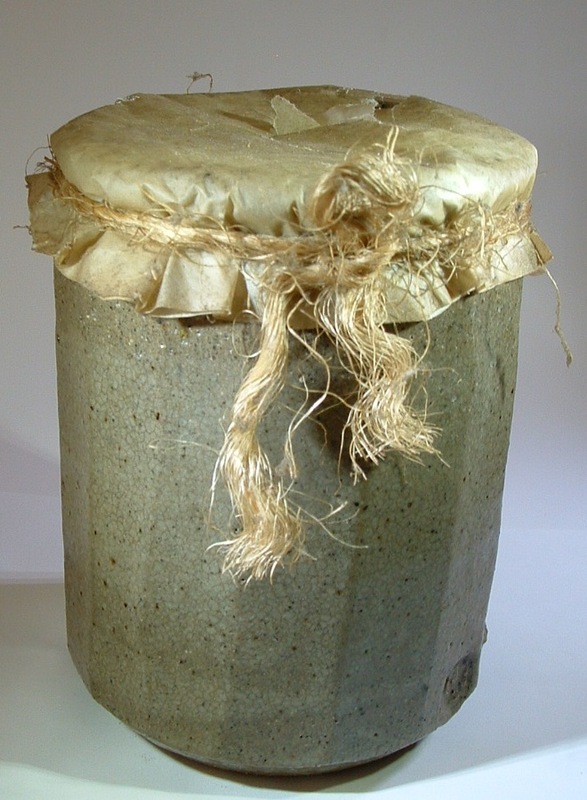 A cloth filter is tied onto the mouth of the storage container. I recommend either pottery of glass. Fat being boiled finally without any water and ready for filtering. 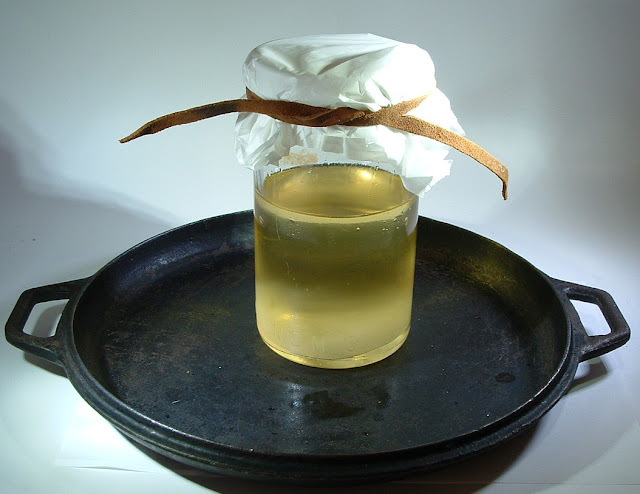 Tallow is finally poured into the container through a cloth for filtering. 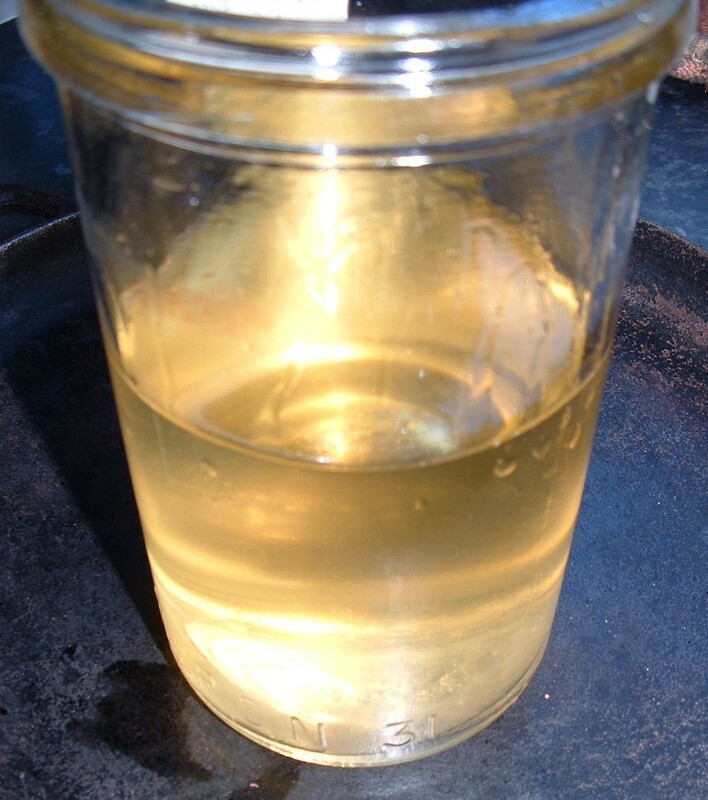 If you are using glass and the glass is cold, warm it a little before pouring in the hot fat, or it may crack the glass. A greased paper is tied over the top of the storage container to keep the dirt out. This is a pottery jar of tallow that has been stored for about 15 years. 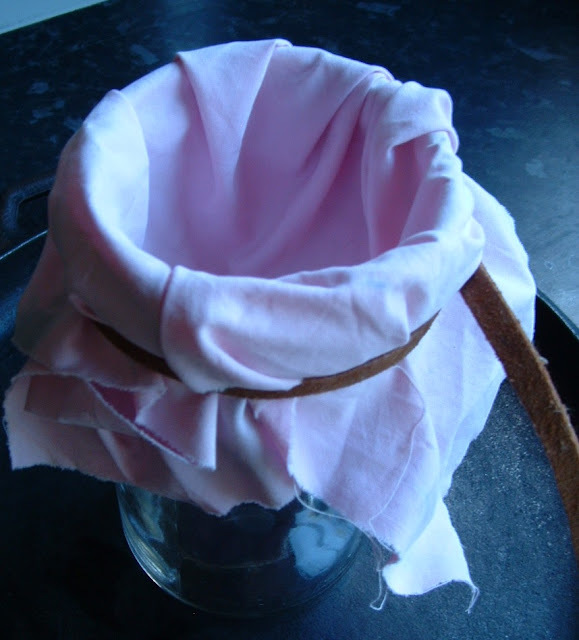 The greased paper top has started to break up, but the tallow inside still smells good and looks clean. If you have a tame butcher, the far from around the animal's kidneys that get used for suet makes a really good hard tallow. It's the form that they used to treat leather in the 15-17th centuries. Thanks for the information. Yes indeed, this fat is excellent & easy to remove.